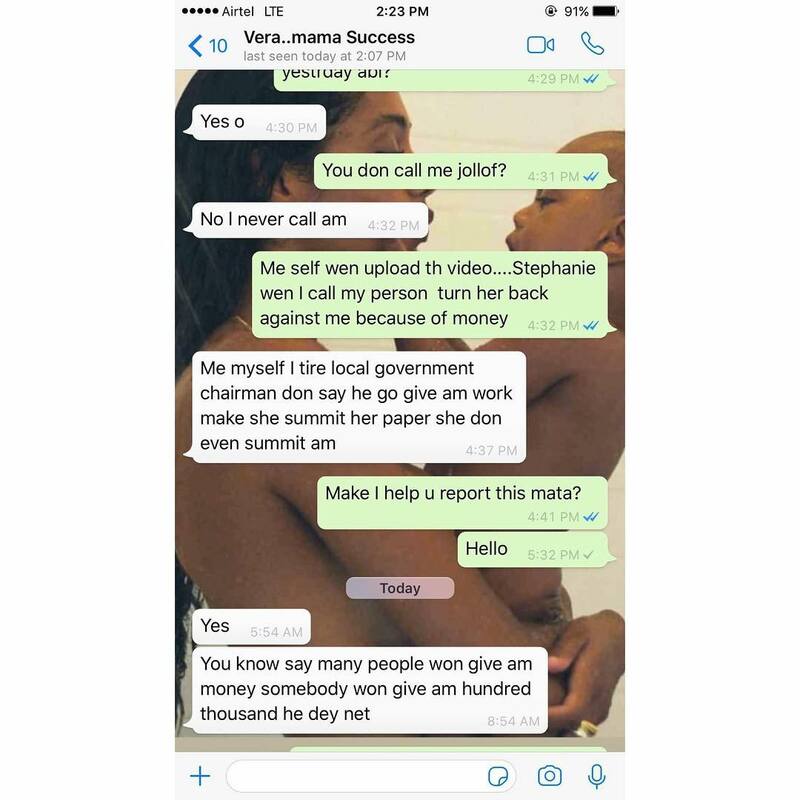 UPDATE: Success's Mum Gave Stephanie Ofijoyce ₦570,000 But She's Requesting For More & A Joint Acct. That amount is enough for her ,why are people so greedy like this . 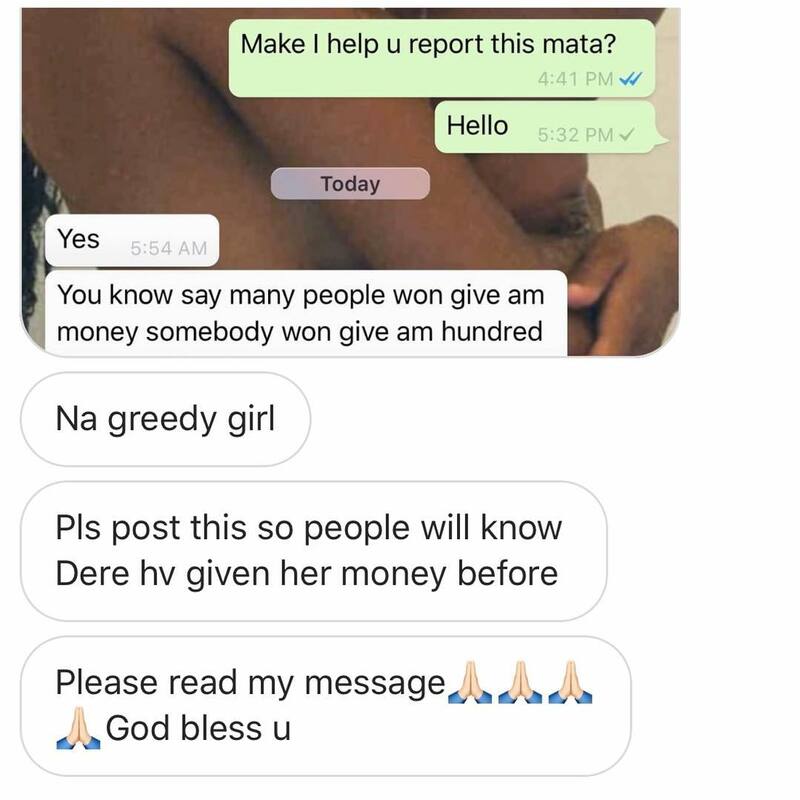 Hmm...this doesn't have to turn ugly..
God used her in the girls favor,but she should also know that the money is for the girls training and not for sharing or clubbing or stuff like that,so she should accept what was given to her with thanks and appreciation afterall,na just that video fetch her that amount,so demanding for a share of everything seems greedy to me. WOW... SO EVERY SINGLE ONE OF YOU WHO COMMENTED ACTUALLY BELIEVED THIS SCREENSHOTS STORIES WITHOUT ANY IOTA OF DOUBTS? WOW? SO NO ONE NOTICED HOW THE OTHER PERSON IN THE CONVO WITH SUCCESS MUM IS THE ONE SAYING STUFFS AND SUCCESS MUM JUST BACKING THEM UP? HOW DOES THIS SCREENSHOTS BETWEEN SUCCESS MUM AND ANOTHER WOMAN ACTUALLY PROVE THAT LADY DID THESE THINGS THEY CLAIM SHE DID OR SAID? 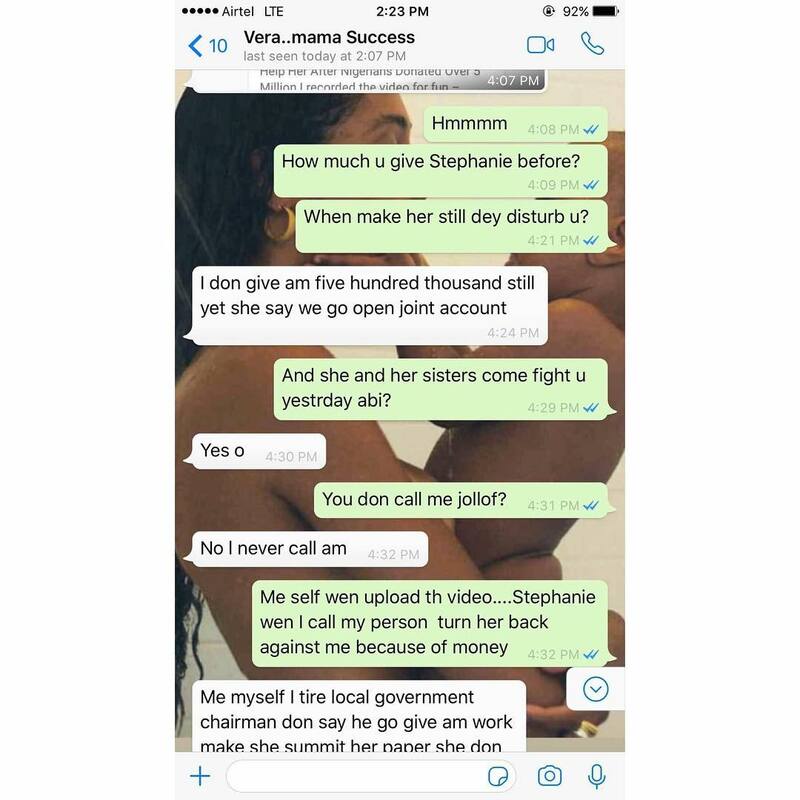 DIDN'T ANYONE NOTICE HOW THE HEADLINE READ ''570,000'' AND THE MADAM REPORTER ALSO STATED "570,000" NAIRA BUT THE SCREENSHOT CONVO STATES ''500,000'' WHICH WAS SUPPOSEDLY WRITTEN BY SUCCESS MUM? I SEE SO MANY THINGS WRONG HERE, SOME PEOPLE ARE TRYING TO BLOCK THAT OTHER LADIES BREAKTHROUGH.. THIS IS EVIL.....! u are right. i was so happy when help came the little girl's way from different angles. but greed has a way of turning things ugly.